Its Spring almost here the snow is almost completely melted everywhere and I am just dying to wear some skirts now and wear some springy clothes!! wearing #1 and wore Jill Stuart crystal diamond powder inner corner and under the eyes, it creates really shiny and diamond like shine so pretty! The knit chou chou looks adorable! :) The little crowns looks great with it. It must've taken a long time to make!e^e Keep up the good work! the ysl lippies look awesome! and i cant wait to see more of your chou chous!! ahh i got myself some floral with frills & tier-layered dress for this spring!! similar to what you've shared..will be posting SOOON at my blog..inspired by ALICE! chou chou!! I love them though I can't seem to find them here. Thanks for comparing the rouge side by side! Now I can see their shade difference! 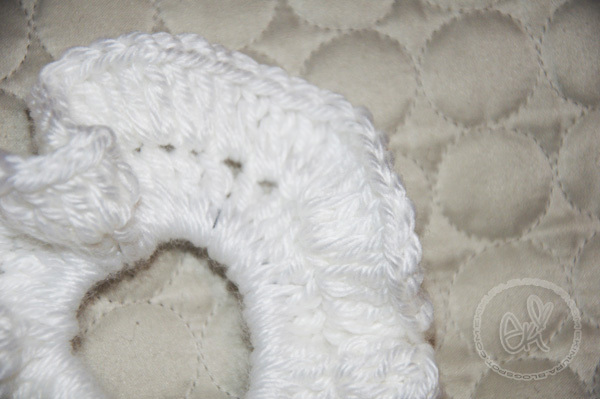 did you knit it or crochet it? yay! you're so creative so im looking forward to seeing those new chou chous! 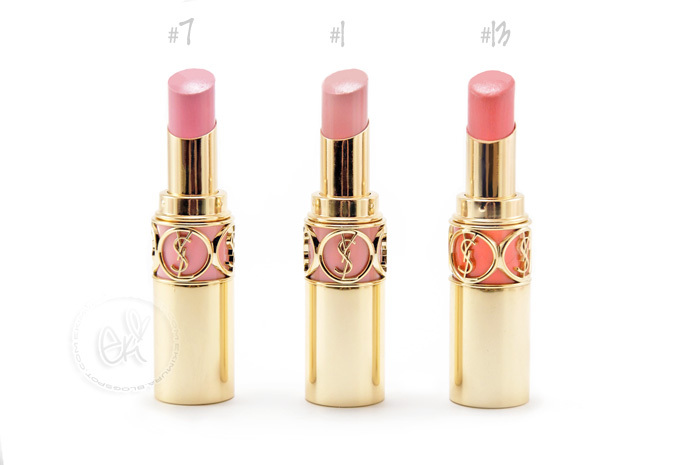 I like the #7 YSL lipstick, I am always attracted to pure pinks like that tho haha! The shushu is so cute! You make me want to go buy some more lipsticks! hehehe.. those are definitely very pretty colors. Your talent at crafting never ceases to amaze me!!! 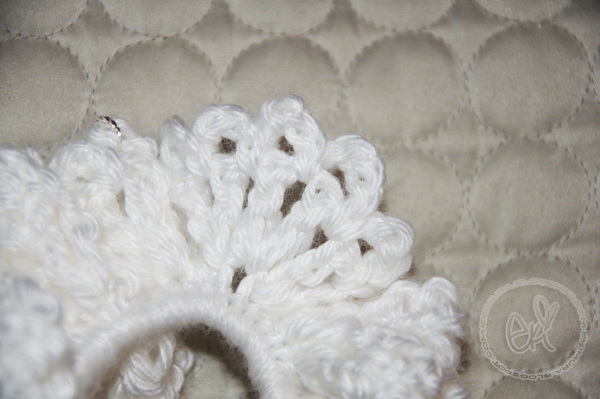 :D Love the styles of knitting, it looks so complicated! 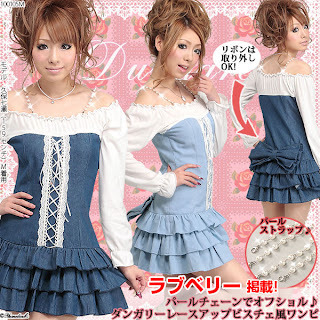 I LOVE all the clothes you post...the ruffles are so girly & dreamy - I really like all the skirts with layers. The kitty ear skirt/hoody is too cute too!!! I love the clothes! I'm a sucker for anything with ruffles too! And I've been eyeing YSL Rouge Voluptes for awhile. They look beautiful! I love the clothes! I wish that kind of stuff was more popular here. I'm a sucker for anything with bows. I bought this Gucci perfume once because it had a tiny bow on it x_x. I really like the chou chou you're making! Geez, what CAN'T you make?! o_o! love the clothes you posted<3 ne neeeee, when are you going to make clothes?? they'd be soooo cutee! those clothes are so cute. the hair ties/accessory is really pretty too. 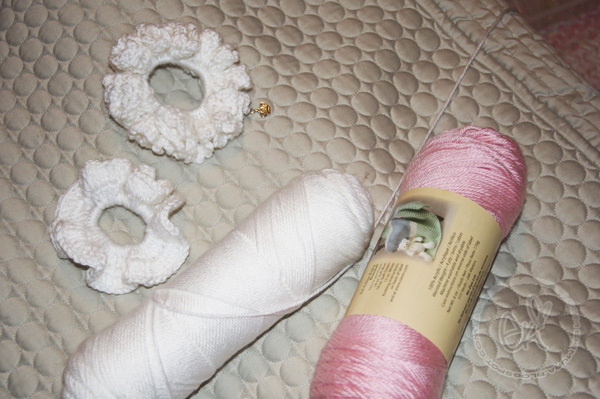 i should learn how to crochet & knit! Clothes are amazing btw I have lingerie Pink's YSL's lipstick and i'm in love with it but I prefer MAC's one because is fleshiless ! Ah, Eki - you always find the CUTEST clothes!! 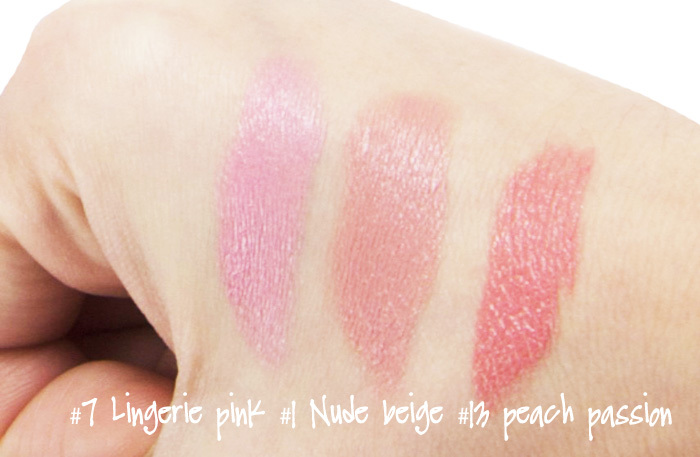 The swatches of the YSL lippies look absolutely beautiful. I want Peach Passion! Wish I could wear these! Those hair scrunchies are adorable! P.S. Your scrunchie is soo cute! Cute your chouchous! 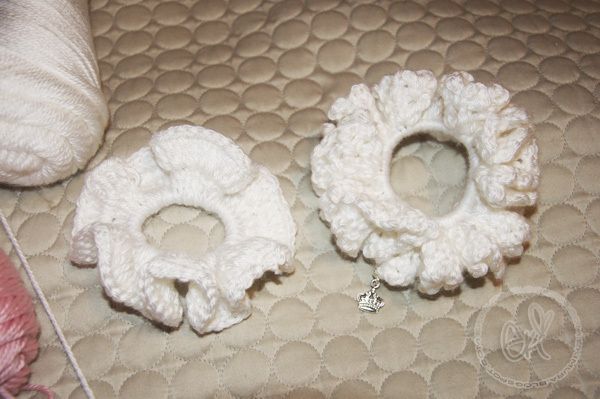 Whenever I see scrunchies especially the crocheted/knitted kind, I'm reminded of high school! LOL! I think I still have one around somewhere! Aww Eki that pic of you is breathtaking! Never ceases to amaze me how beautiful you are! Awww this entire post is really nice! I love those hair srunchies and the YSL lip colours are lovely. hi eki! im madeleine from singapore! love your blog!i think you're sooo talented and inspirational! Okay.. totally lovin' that sweater with the bow at the back! Ack! Why can't they have that type of clothing over here?! Wow you can knit too? Talent talent talent!! Cawaii ^^ u so cute.I come from thailand.